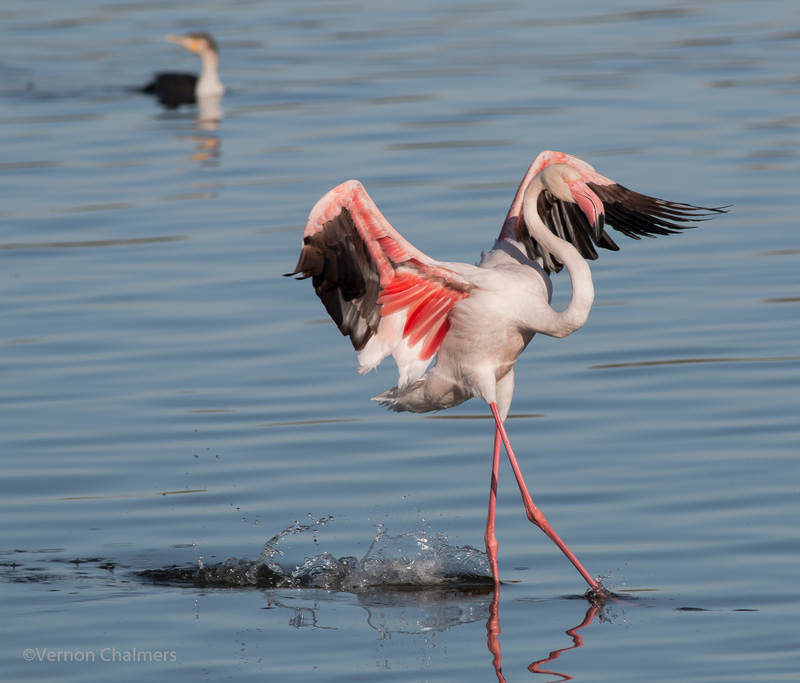 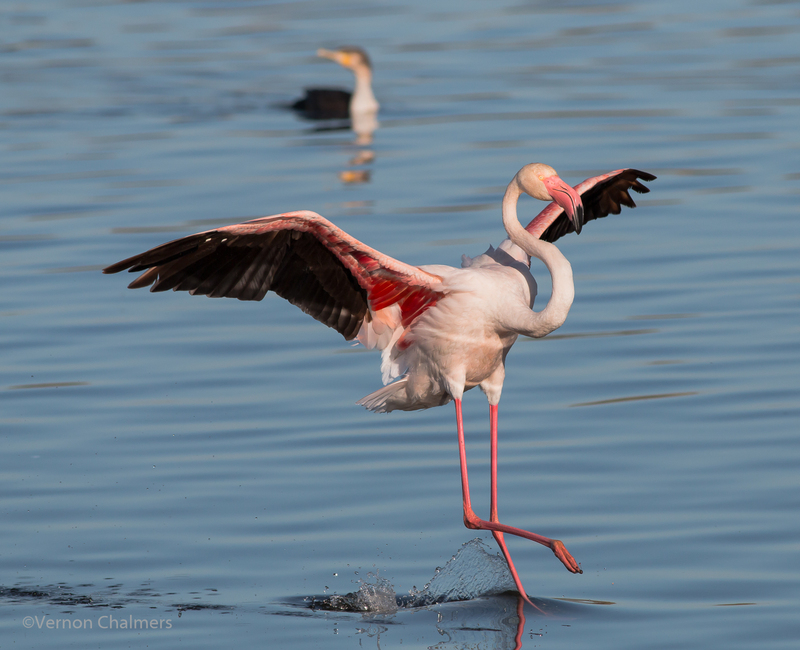 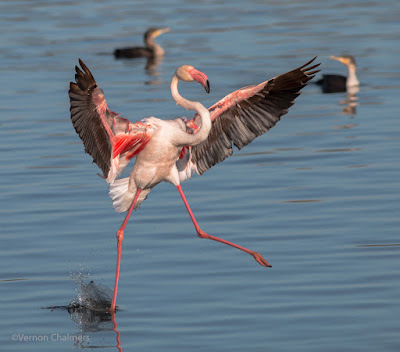 Greater Flamingo landing in the Milnerton Lagoon, Woodbridge Island Cape Town. All photos by Vernon Chalmers with Canon EOS 70D / EF 400mm f/5.6L USM lens (Manual Mode / Fast Shutter speeds 1/2500s / Handheld). Al Servo Focus / 7 frames per second. Zone Autofocus.